KING OF BEASTS is a provocative and timely documentary by award-winning directors Tomer Almagor and Nadav Harel. This film explores the motivations behind the highly controversial industry of lion trophy hunting, and the local economies in which hunters pursue their ultimate ambition. 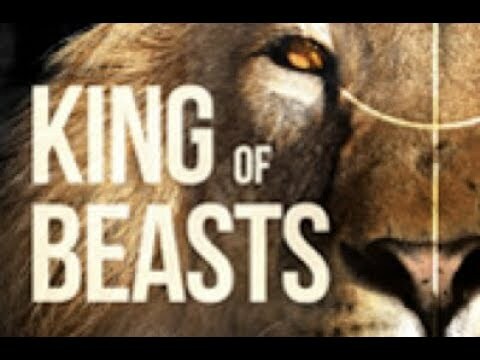 With unprecedented access and unique firsthand footage illustrating this breathtaking and complex story, KING OF BEASTS dives deep into an American hunter’s relentless pursuit of his 14th lion trophy. This thought-provoking documentary profiles the hunter, his associates, as well as the Tanzanians whose livelihoods are dependent on the hunts. KING OF BEASTS raises the question of where savagery truly lies – and who is the true King of Beasts. Shot over the course of four increasingly tense years at the blurry intersection of adventure, colonialism, economics, and Western privilege, as trophy hunting once again became part of the zeitgeist. King of Beasts was released on Cinema and VOD 89d ago in the US. Notify me when King of Beasts is available.